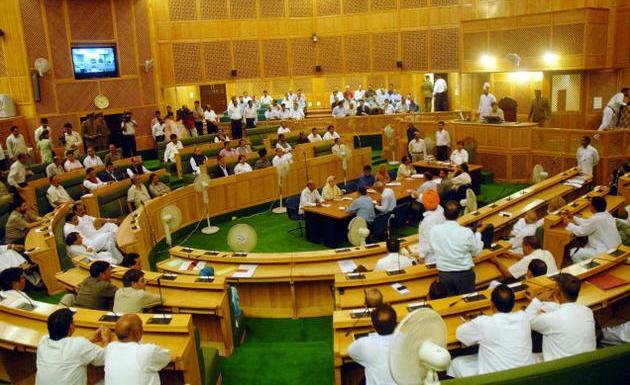 MUZAFFARABAD: An amendment has been tabled in legislative Assembly in Interim Constitution 1974 of Azad Jammu and Kashmir to declare Ahmadi community as non-Muslim by the government on Friday. Minister for Law and Parliamentary Affairs Raja Nisar Ahmad Khan moved the bill “The Azad Jammu and Kashmir Interim constitution (12th amendment) Act, 2018 in the legislative Assembly, met here under the chairmanship of speaker Shah Ghulam Qadir. Prime Minister and leader of the House Raja Farooq Haider Khan said the amendment would be debated in the joint sitting of Legislative Assembly and Kashmir council before its passage to become part of the constitution. He said the Legislative Assembly had passed a resolution moved by then member Sardar Muhammad Ayoob Khan declaring Ahmadis as non- Muslim but could not be taken in interim constitution Act 1974. He said “Khatm-e-Nabuwat” was part of the Muslim faith and his government was taking pride by bringing this amendment in the constitution. Former Prime Minister Sardar Attique Ahmad Khan welcomed the move and said the government should take the opposition parties along with while debating the bill so that they could share their part in this sacred duty.